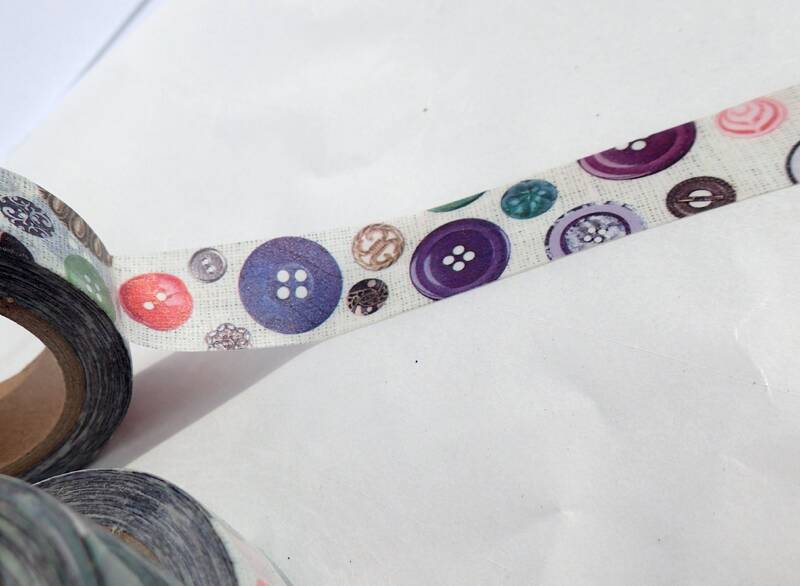 Buttons are always so much fun. 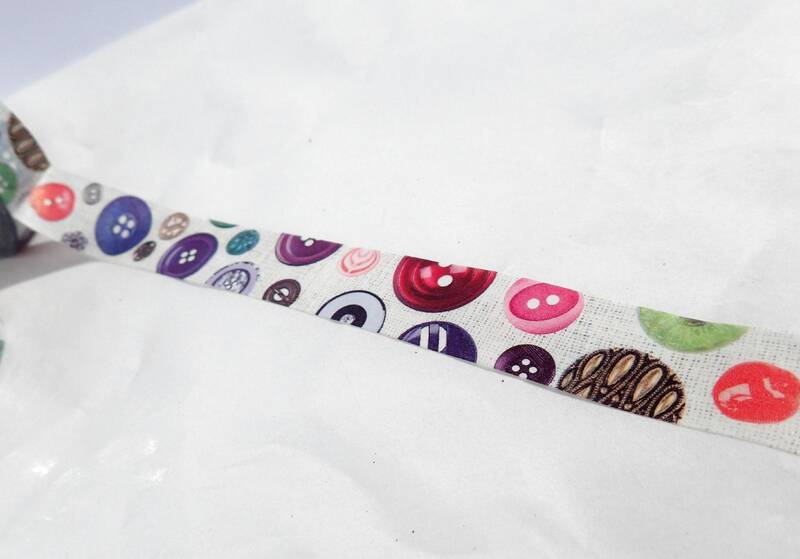 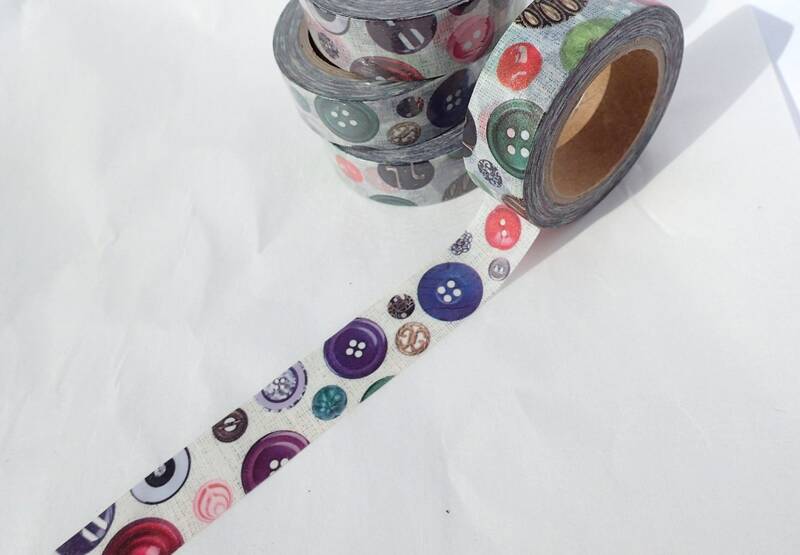 This washi tape features buttons of different colors and styles on a lightly textured-looking background. 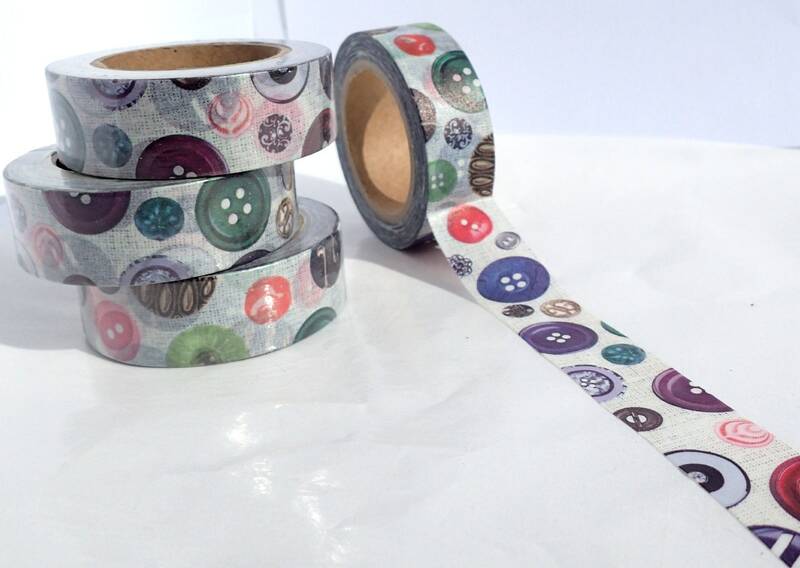 Great for sewers and crafters and anyone who loves buttons!